An average film with a convoluted story that doesn’t do either the found-footage or horror genres justice. A popular vlogger, #DroptheMike (Matthew Solomon) has a channel full of videos where he informs his viewers about sites of supposed hauntings, murders, and suicides. He gets an offer from a national clothing boutique that if he can get 50,000 new subscribers, they’ll sponsor his channel with a cool $250,000! His viewers vote and want him to do a Halloween vlog for the money at the Hotel Lennox, a very haunted hotel in downtown Los Angeles. #DroptheMike forms his crew with his usual DP Chris (Tim Drier), their editor Nic (Caitlin Grace), and a sound professional they’re friends with – Danni (Sam Valentine). Mike says farewell to his girlfriend Jess (Kelsey Griswold) and they hit the road for their weekend away in the haunted hotel, despite a local historian Wallace (John Savage) warning them against it. Danni, Chris and Mike set up shop in one room, Nic sets up to do her editing in the solitude of her own room. Almost immediately, they start capturing paranormal apparitions on tape, which Mike chalks up to one of his fans messing with them. They get a lead from the hotel’s security guard (Christopher Ross Martin) that they should look into The Elevator Ritual and it’s tie to a recent death in the hotel. They do their research and decide to play The Elevator Ritual for themselves… that’s when everything gets crazy, but Mike still won’t admit that there’s anything supernatural going on… even when apparitions are seen everywhere, and satanic artifacts are found on the roof over their room. Mike now must pull double duty: get the subscribers he needs and keep his team from imploding. Followed had its world premiere at the Burbank International Film Festival, and displays it’s expertly made trailer all over social media. The trailer is so good, I knew I had to check it out. The cinematography is a stunning found-footage model reminding viewers just how crisp and clear cell phone video and consumer video cameras have really become in recent years. Given this was an indie film, they could have easily gotten away with making this a “normal” cinematic experience with the same cinematography. Most of the actors (except Tim Drier, who felt much less talented and a bit forced) were believable and charismatic and played their roles well, even when they weren’t given much in the way of meaningful dialogue. And that, unfortunately, is where things seemed to fall apart: the script by writer/producer Todd Klick (Rough Cut). The problem with his script is two-fold. 1) so much corny dialogue! At times it’s #DroptheMike not knowing when to switch between his dorky online persona and his real life personality with his friends, making for a character that jokes like a guy still in high school. 2) Far too many types of things that go bump in the night. They incorporate ghosts of murder victims, ghosts of murderers, The Elevator Ritual, satanic cults, people going crazy, other crazy occurrences in the hotel from decades ago, a very human stalker, and more! With so many different “causes” for scares, the viewer is left confounded with no single backstory to cling to as to why these things are happening making for a total cluster**** of a movie. I really wanted to like this movie. Again, the trailer makes it look very cool! And it deals (at least in part) with The Elevator Game (which they call The Elevator Ritual, you may also have heard it called Elevator to Another World), an urban legend currently floating around in the creative zeitgeist; even I have a script dealing with it as do a couple other screenwriters I personally know. The movie could have been strong had they stuck to just The Elevator Ritual. Or just the satanic serial killer from the 1980s. Or that the hotel makes you go crazy. Any of these would make a really strong horror flick on their own, but choosing to go with all of them was a misstep of epic proportions. Even the movie’s title hints more at the stalker in the movie than any of the paranormal elements. 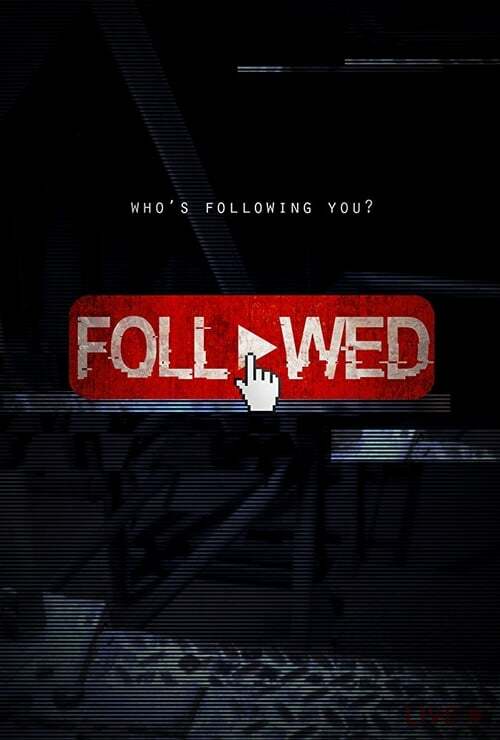 Instead of the strong indie horror I was hoping for, Followed is an average film with a convoluted story. It looked real pretty, though!